At this time of year, with the season drawing to a close, emotions can run high. Saturday was a turbulent one for mine which were put through the wringer as I followed the progress of Harrow Borough via a mobile phone as I spent the afternoon visiting relatives in Bristol. As regular readers may know, I've been going to watch the Boro on and off since 1988 and although they've spent most of that time flirting with relegation, they've somehow always avoided it - some escapes have been truly miraculous with a 5-1 away win on the final day at a decent Windsor & Eton side in the early '90s being one of the most notable. As recently as the 18 March, Harrow were sitting snugly in midtable after a solid 3-1 win at AFC Sudbury and another season in the Ryman League Premier Division looked certain. But then it all went wrong as Steve Baker's side failed to win any of the following eight fixtures meaning they found themselves two points above the relegation zone going into the final game - a very tough and long trip to Lowestoft Town. There were eight teams in the relegation mixer at the start of the day and only two places in the bottom four still 'up for grabs' with Sudbury and Grays already down. There were several teams between us and the dotted line of doom who would surely slip up and go down instead of us. When I logged on shortly before 5pm I noticed we had unsurprisingly lost 2-0 but were 'safe'. However, two crucial games at Burgess Hill and Hendon were still in progress. At that point Canvey Island had been confirmed as relegation casualties and Burgess Hill were filling the final relegation spot after conceding a late equaliser against Merstham. Hendon were trailing to Staines but their game had kicked off 75 minutes late after the referee had been held up in traffic!!! With just seconds to go, old rivals but very much friends, Harrow and Hendon were safe no matter what happened in their games and then it came... a 98th-minute winner for Burgess Hill. What the time was added on for I don't know but its significance was massive for two sides from north-west London. Hendon dropped down into the relegation zone and Harrow stayed above them by virtue of having a goal difference that was just one better. Now we just had to hope and pray that Staines could hold out for the entire second half as a solitary goal and a draw would be enough for Hendon to stay up at Harrow's expense. Sadly the Swans' second half resistance lasted all of a few seconds as the Greens equalised almost from the kick-off. Nothing further happened and with the game ending 1-1, Harrow Borough were relegated for the first time since the 1970s. For a season which had included the highs of reaching the FA Cup First Round and playing Northampton Town, beating eventual Ryman League champions Havant & Waterlooville, stuffing Dulwich Hamlet 4-1 at Champion Hill and seeing our star player turn pro with Cardiff City, it ended on the darkest note I've experienced in nearly 30 years of following the club. With crowds struggling to break the 200 barrier for several years now, I fear for the future of a club which hasn't been hugely proactive in trying to build its supporter base. I know there are good reasons for this but it is an acute problem that needs to be addressed. What happens to Steve Baker is an interesting question. He pulled off one of the great escapes when he came in two years ago and the football his side were playing less than six weeks ago was more than good enough for this level but can he really be kept on after presiding over this? I personally hope Harrow transfer across to the Southern League next season so they can make a completely fresh start and play derbies against the likes of Hayes & Yeading, Hanwell, Northwood and Uxbridge rather than face long journeys to Essex and Suffolk every other week in the Ryman North. Ho hum. In other news, QPR did their best to destroy my love for football too by losing 3-1 at Brentford to keep themselves firmly in the competition to win a relegation spot from the Championship! Being five points clear with two games to play, their chances of survival look reasonable but a lot could hinge on their next match against fellow strugglers Nottingham Forest. There was also sad news at Brisbane Road where Leyton Orient confirmed their inevitable relegation from the EFL after a 112-year stint. Sadly there are more problems facing the club than just those on the pitch so the future doesn't look great in that part of east London. On the bright side, Tooting & Mitcham United finally got their hands on the Ryman League Division 1 South title despite losing at main challengers Dorking Wanderers on the final day. That result meant they finished first on goal difference alone as both sides amassed a staggering 105 points each. I hope for Wanderers' sake that they don't ultimately end up losing to Hastings who finished 23 points behind them in fifth! The coming week doesn't have as many matches as normal but we've got lots of play-off games and a few cup finals at non-league, amateur, women's and youth level. The Ryman League play-offs start on Tuesday and conclude on Bank Holiday Monday and include some great games all of which are played over only one leg. The semi-final between Dulwich and Enfield on Thursday should be a cracker. 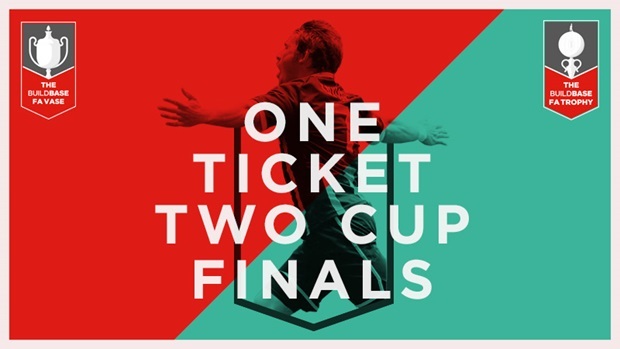 Also this week we've got another piece from our friends at 'Two Men In Search Of The Beautiful Game' who made their now customary trip to the Ryman League Cup Final a couple of weeks ago. The match between Billericay and Tonbridge was played at Carshalton Athletic's ground and produced quite a scoreline! Right, enough of my whinging, it's late and we've all got much better things to do. Enjoy your week and I hope it doesn't end like mine did. There are 50 matches in the London area over the next week with games in the Premier League, EFL, National League and several minor league and county cup competitions. Hampton & Richmond Borough v Concord Rangers @3pm - over the last couple of weeks the play-off picture in this division has changed drastically with fifth placed Poole Town and sixth placed Hungerford Town denied the right to compete because their grounds were deemed unsuitable for promotion. As a result, Hampton in seventh now suddenly find themselves eligible to take part in the 'post-season'. To make sure of it, they need to win this game or match Wealdstone's result who are just below them. Charlton Athletic v Swindon Town @12pm - in the other game, the Addicks welcome freshly relegated Swindon. A win for the hosts will see them finish just ahead of Wimbledon - exciting stuff!